Snow? We're Open for Business! 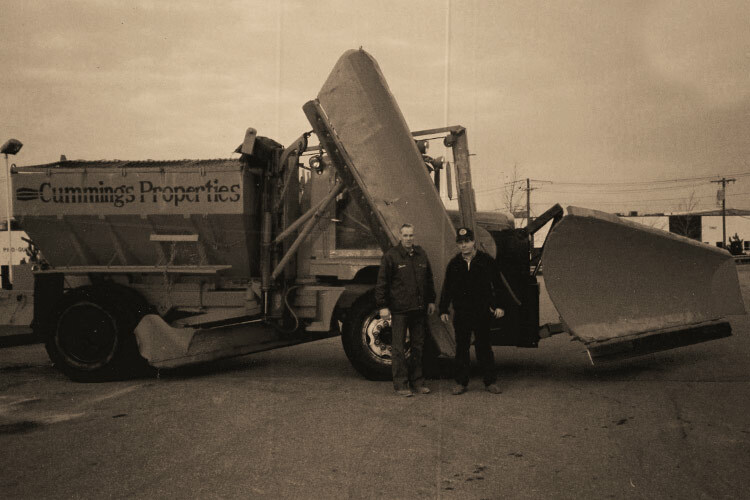 Timely snow removal has been a central tenet of Cummings Properties' property management philosophy since the company's inception. Company lore holds that during the Blizzard of '78, as local roads and highways were still closed and impassable, Cummings' parking areas were clear and ready for business. 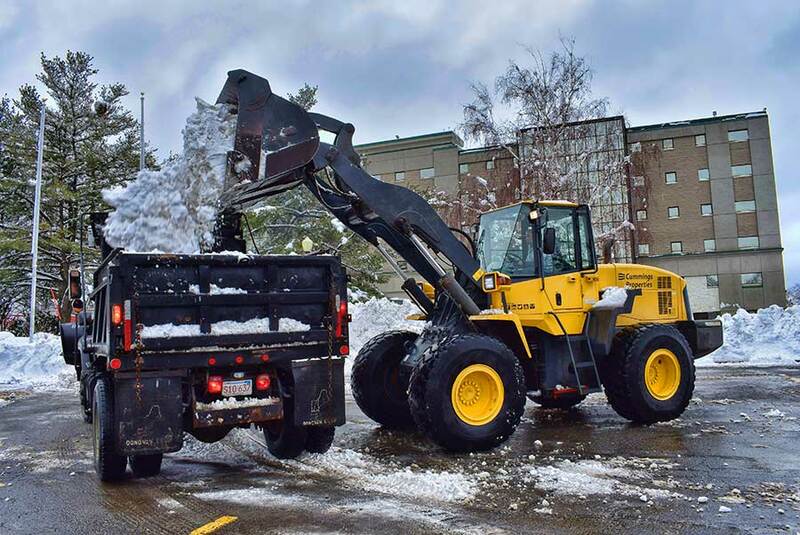 This focus on customer service continues to this day; even after parking lots are initially cleared, snow removal operations continue after hours in preparation for the next storm. 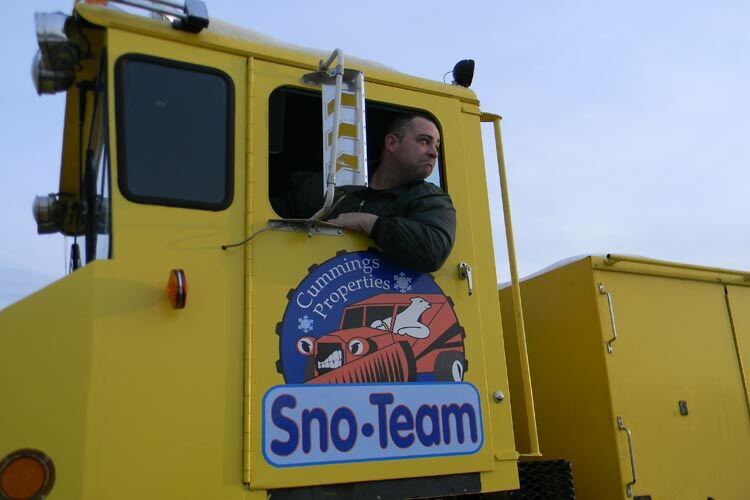 Who is the Snow Team? 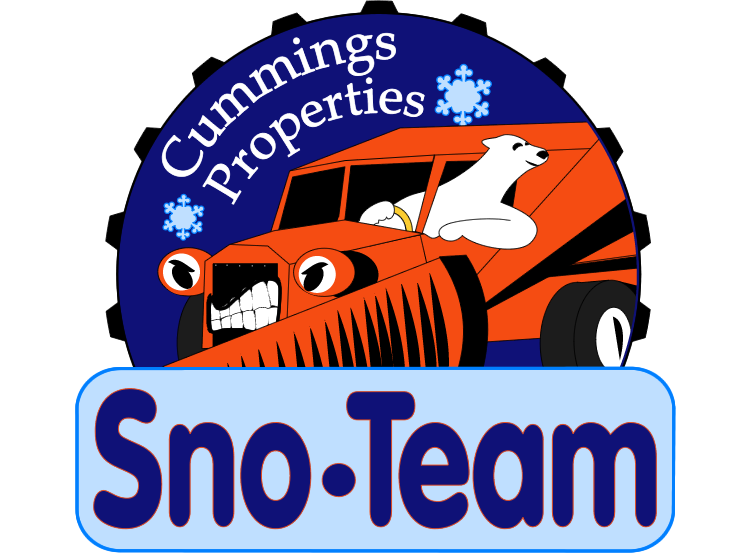 The Cummings Snow Team is an auxiliary corps that includes many members of Cummings Properties' construction crews. 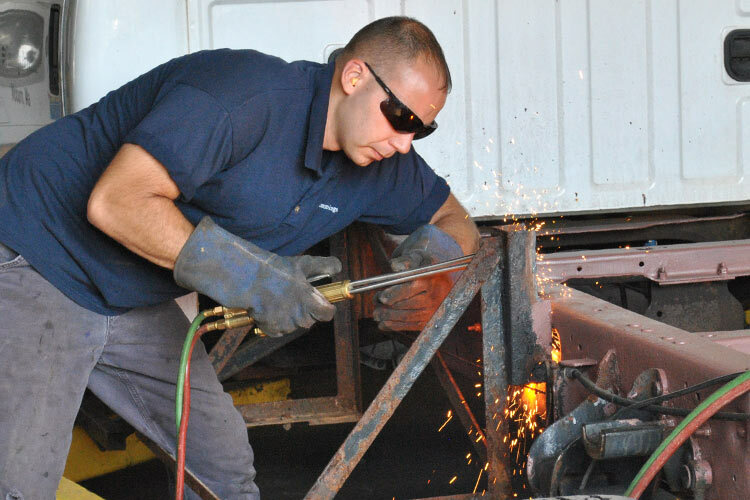 The ranks include carpenters, electricians, plumbers, and construction managers, who set aside their usual roles to become plow drivers, spotters, heavy equipment operators, and mechanics. The hard work and coordinated activities yield a loyal team with strong camaraderie. The core group is supplemented by subcontractors under the direction of Cummings Properties' field management. 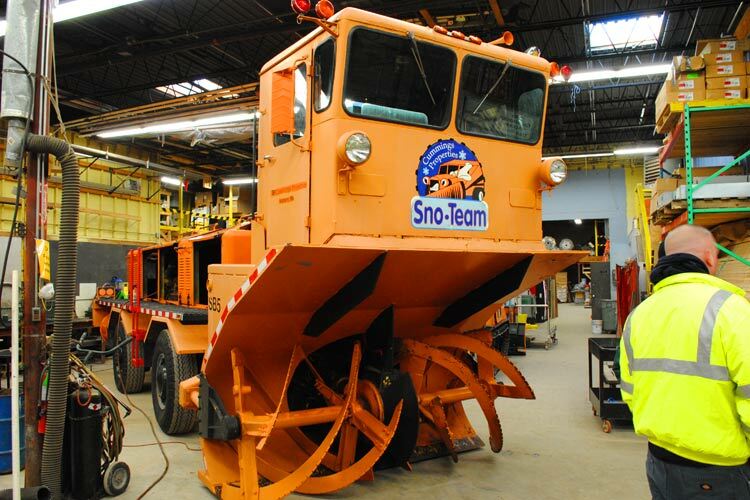 Planning for the snow removal season begins well before the first flakes fall. New team members are trained and assignments, schedules, and procedures are reviewed. Equipment is prepared for grueling winter conditions. Mountains of salt and sand are stockpiled for the season. 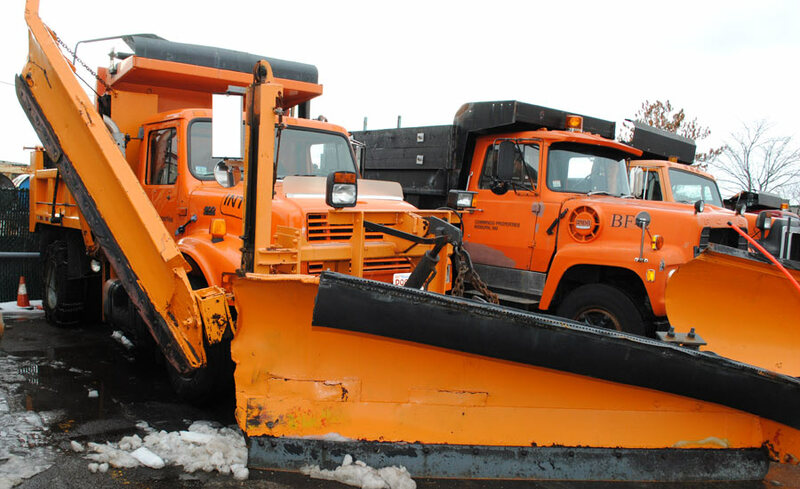 As cold weather arrives, managers evaluate weather forecasts and parking situations daily, always on the watch for dangerous conditions. Property managers alert clients to parking alternatives and restrictions prior to the arrival of inclement weather. Overnight dispatchers coordinate with roving field managers, assigning resources as needed. Like a racing pit crew, teams of mechanics in two maintenance garages repair equipment on the fly. 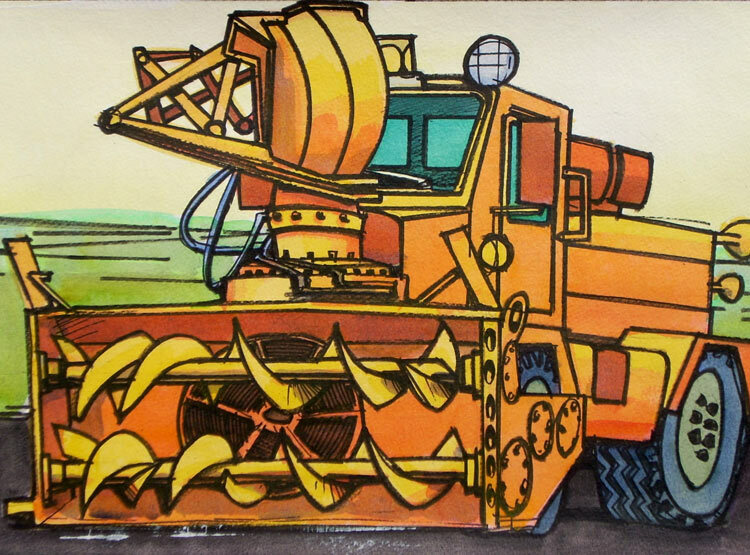 Make way for snow plows! Orchestrating the relocation of cars prior to plowing is key to efficiently clearing lots. Dedicated snow-parking areas provide alternatives away from active plowing, and a growing number of garages provide convenient parking sheltered from the elements. A side benefit of the solar arrays built atop many Cummings garages is the reduced snow accumulation on upper parking decks. 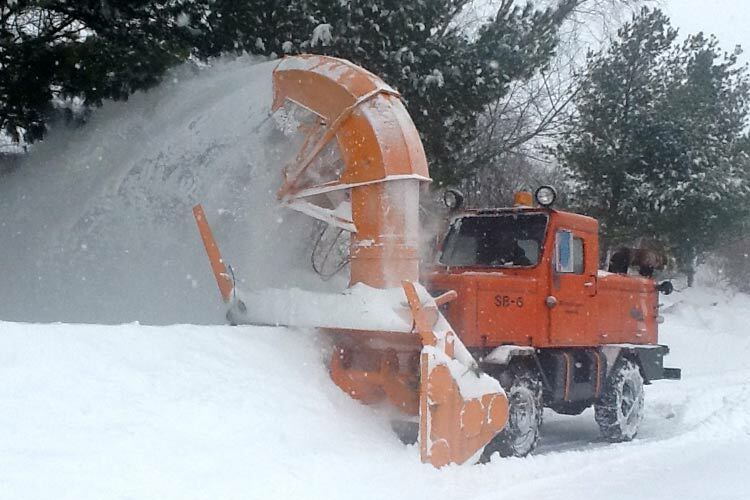 After the mechanized divisions of snow machines remove the bulk of the snow, squads of shovelers and sanders disperse throughout our properties to mop up sidewalks and building entries. 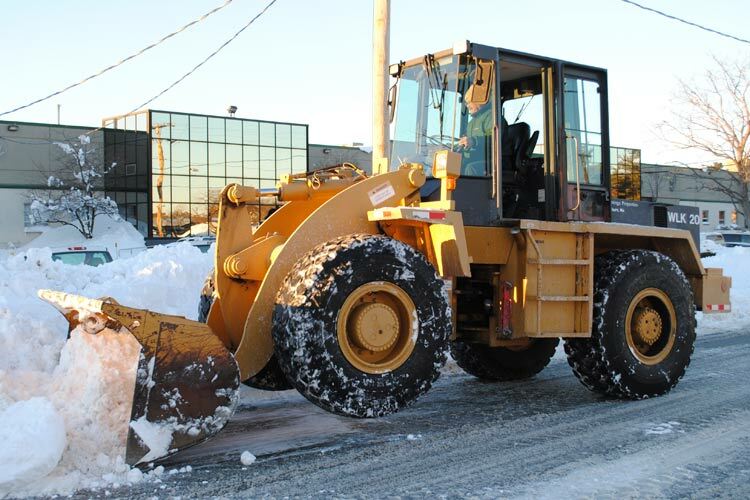 Planning for snow removal extends to the design of new properties and buildings. 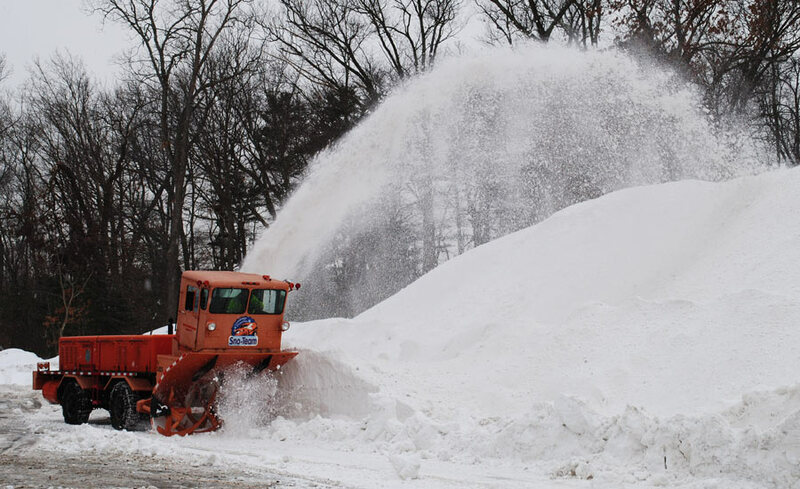 Parking lots are laid out with consideration for efficient snowplow operations, and parking garages are screened to block the prevailing wind-driven snow. 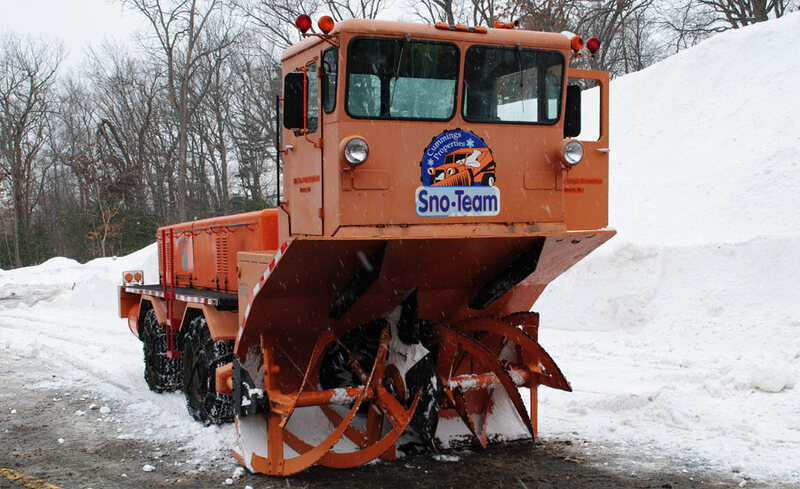 The team operates a fleet of nearly 60 snow removal vehicles, including snowplows, dump trucks, frontend loaders, backhoes, and maintenance vehicles. 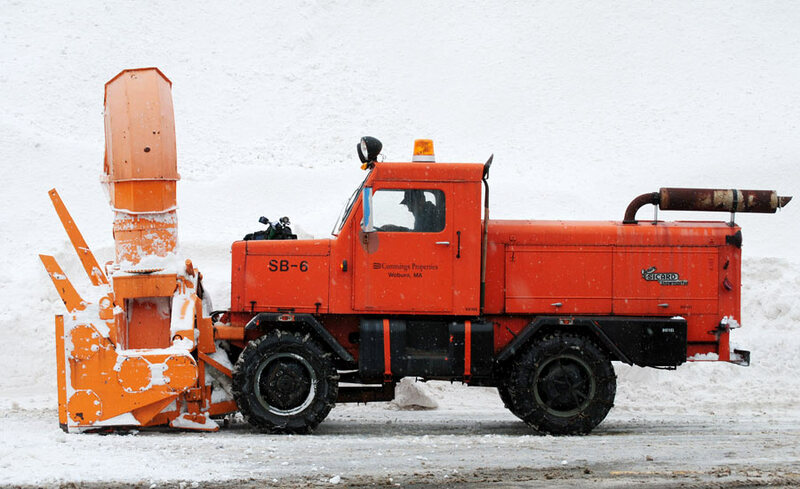 A set of specialized truck-mounted airport snow blowers chews through the tallest drifts and helps transfer snow after hours. 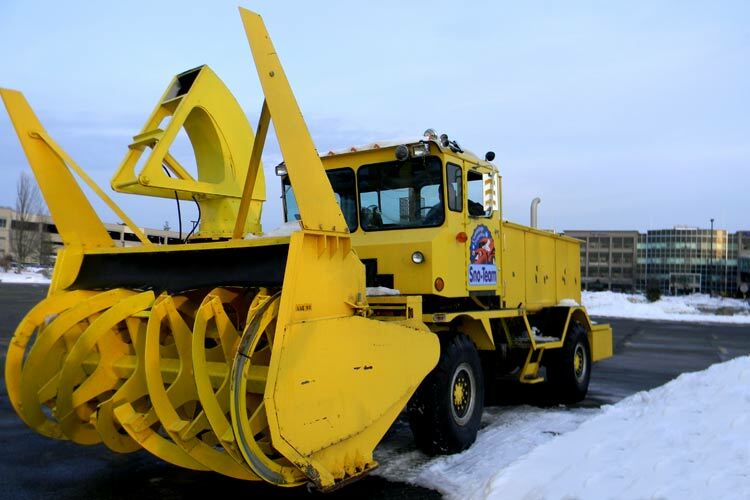 Cummings takes particular pride in maintaining a fleet of vintage plows and airport snow blowers. The older equipment is simple and built to last, and our top-notch mechanics have the skills and the parts to keep these classics running for years to come. This twin-engine behemoth features a Cummins 160 diesel front engine that drives the machine and a Cummins 165 diesel rear engine that drives the blower. 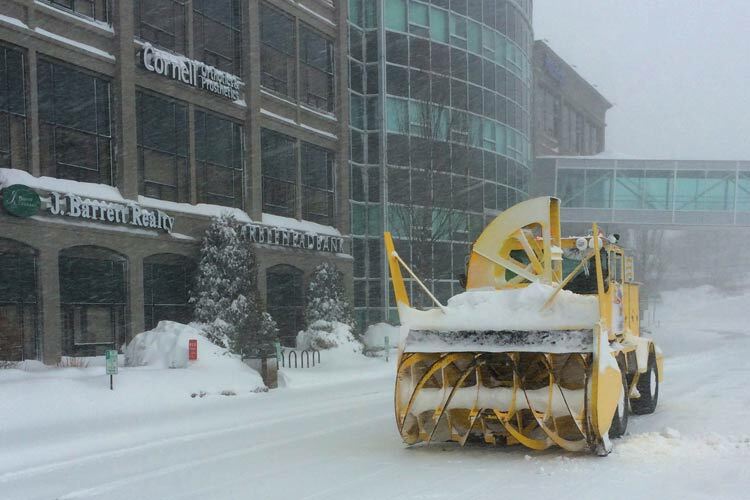 This truly extraordinary piece of equipment will move mountains of snow in a short time. It formerly served at a Maine airport. 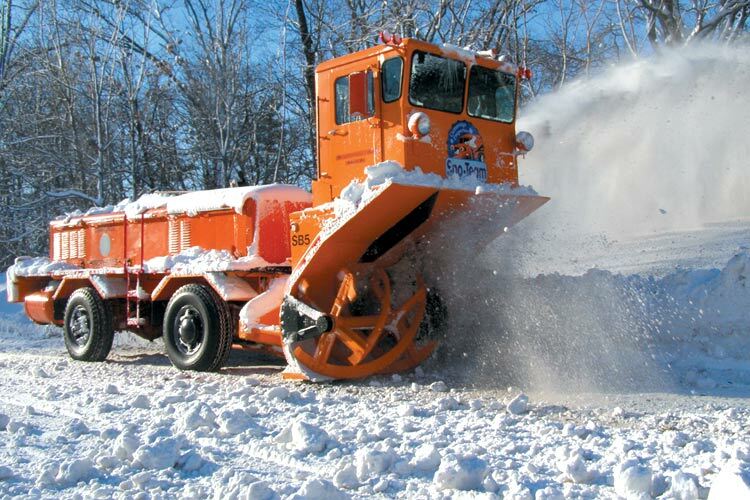 Another twin-engine snow blower, the front engine is a 6-cylinder Chrysler industrial flathead gasoline engine that powers the drive wheels, while a Cummins 250 diesel rear engine runs the auger. 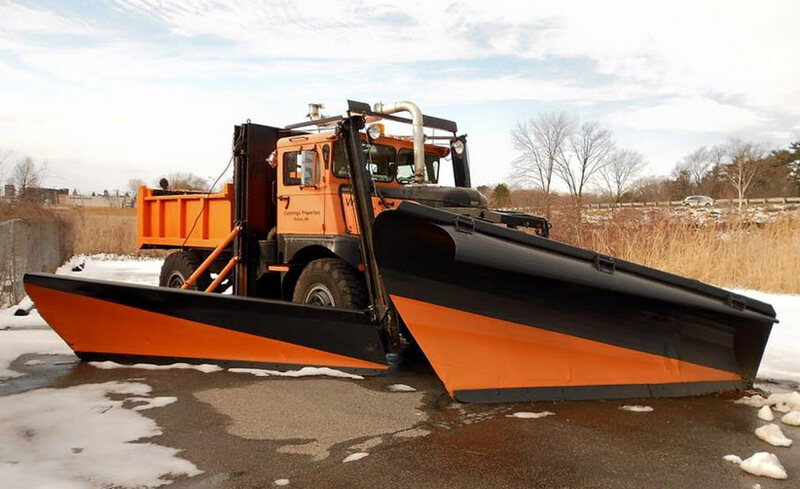 This former highway plow is powered by a 300-horsepower GV53 Detroit Diesel engine. An Allison automatic transmission powers all wheels. 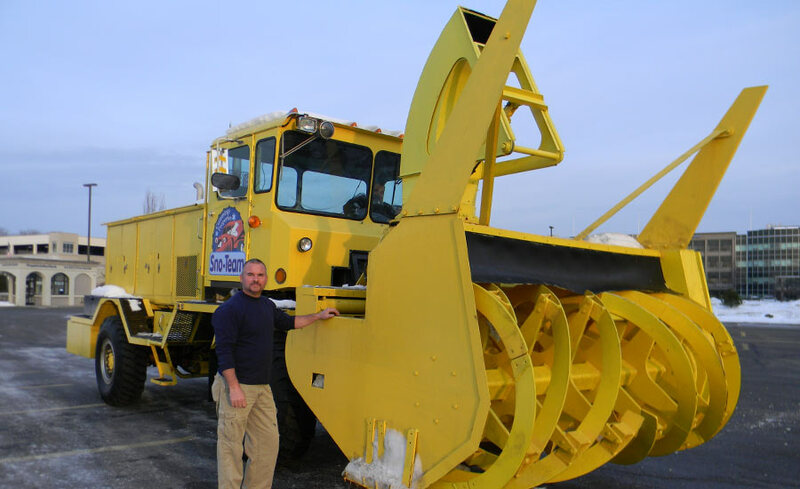 It features an 11-foot front plow, two 10-foot wing blades, and a belly plow. An integral sander diversifies the machine's capability. 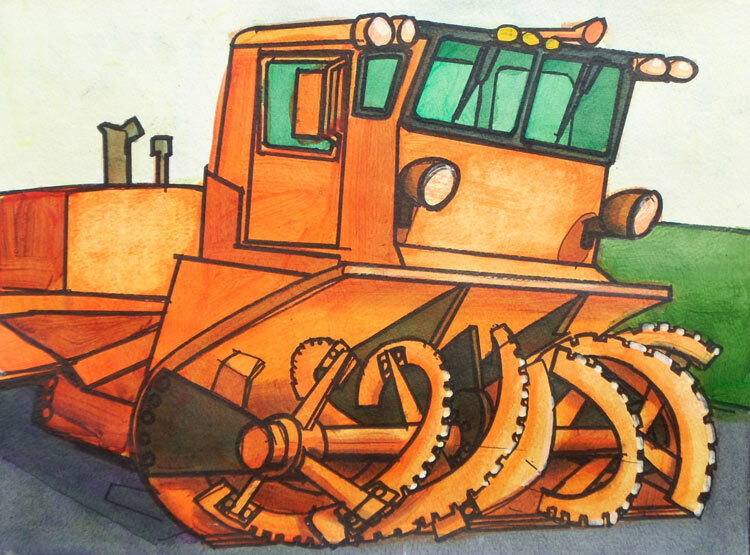 This Canadian-made tracked vehicle is driven by a 6-cylinder Chrysler flathead industrial gas engine.